Fans are defending the Assamese singer instead of using this as an opportunity to ensure children understand that it is consent, and not intent, that matters. Guwahati: I am a fan of Papon. Just like I am of Kevin Spacey, Dustin Hoffman, Aziz Ansari and James Franco. I admire their work and acknowledge their talent. Like many others, I admire them as artistes. Does this mean I should defend them when I feel they are in the wrong? Certainly not. On February 21, singer Angaraag Mahanta, popularly known as Papon, was caught kissing a minor contestant he was mentoring in a reality show, on a Facebook live video. The video instantly went viral. The next day, Supreme Court advocate Runa Bhuyan filed a case against the Bollywood singer in the National Commission for Protection of Child Rights (NCPCR) under the Prevention of Children from Sexual Offences Act (POSCO) for inappropriately kissing a minor. This led to several media and public debates, with some condemning his actions, while others defended their favourite celebrity. Even as a fan, I found the contents of the video unsettling and was distressed by the subsequent reactions of some of his fans who were quick to defend him solely because he is a talented musician they admired, failing to understand that talent has little to do with a person’s ability to commit an offence. In my opinion, Papon was in the wrong. To me, it was clear from what I saw in the video of the act in question, including his and the minor girl’s reaction. My disappointment only grew when, in response to the allegations, Papon released a statement full of contradictions on both Facebook and Twitter. On one hand, he claimed that he had been “victimised,” while on the other, he said he had committed a “mistake”. This statement not only takes a mild dig at the #MeToo movement – that has gained momentum in the past few months with women deciding to speak up after years of silently suffering harassment in different forms – it is also a feeble attempt at averting blame. Not just in “today’s environment”, but it has never been “advisable” to touch a girl child or any person inappropriately. What should we expect from liberal, feminist men like Aziz Ansari? 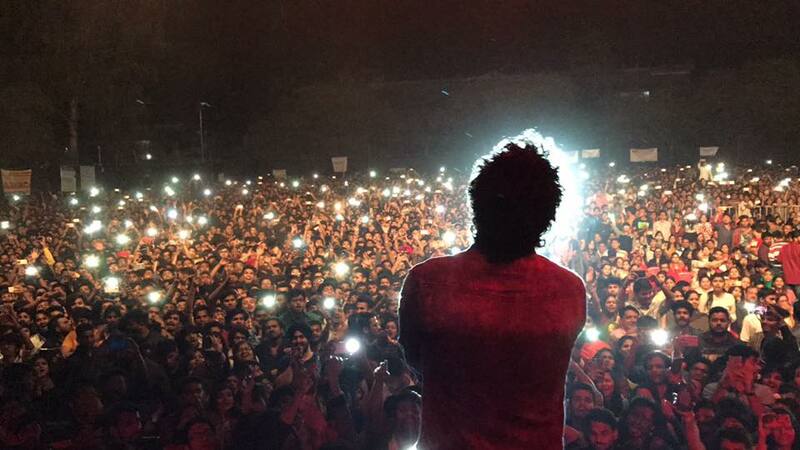 By cautioning us to be careful while dealing with this issue so that the girl’s reputation (also) doesn’t suffer, Papon, celebrated in his home state for being one of the few national icons, seems to believe that the “victim” is equally being maligned by the accusations. His lack of understanding of the fact that in any unprovoked situation, the perpetrator is the only one in the wrong and should be liable to face the consequences of his action(s), is appalling. Saying that the act wasn’t intentional doesn’t change the nature of his actions either. Holding a person’s face and planting a kiss on her lips without her consent may not seem like sexual misconduct to the perpetrator in question, but it certainly is. He perhaps did not intend to “sexually assault” a child, but he did intend to kiss someone, who is considered incapable of giving consent by law, on the lips, and that invariably constitutes child sexual assault. The keyword here is consent, not intent. However, he did realise what he did was wrong and on realising that the camera had captured his “affection”, he asked for the live feed to be stopped immediately. So claiming that he hadn’t done anything wrong and would have deleted the video after the backlash had he done anything wrong, does not make a very convincing argument. It’s unfortunate that the family of the minor view the act as an innocent display of affection between a mentor and a mentee. The concerned child has also gone on record to state that the kiss was simply a show of love equivalent to that of parental love she is already familiar with. This is slightly disturbing, as the show of affection here is a kiss without consent that made the child uncomfortable. Instead of normalising such behaviour, the child should be made aware that anything that makes them feel uncomfortable is not okay. The controversy surrounding Papon is important because it determines what we teach children about sexual misconduct. In trying to protect his image, his supporters are forgetting that this case is likely to have major consequences on how future generations view sexual misconduct. In a country with one of the highest incidences of child sexual abuse, and several instances going unreported, children shouldn’t be taught that being kissed on the lips without their consent is a sign of paternal or any other form of affection. They also shouldn’t be made to believe that it is okay to kiss someone without their consent because it is not sexual misconduct if they don’t intend it to be so. My suggestion to fellow fans of Papon would be, take the celebrity face away from the video and replace it with a random drunk uncle at a party. Will you still be okay with such an act? Ankita Goswami is a Guwahati-based advocate.